The star of the cult monster movie talks about her role and the horror genre. Stacy Pederson plays the heroic law-enforcer forced to do battle with a – wait for it – Tsunambee in Wild Eye Releasing’s fun new horror romp of the same name. What do you think makes a good horror film, Stacy? I’m a big baby when it comes to anything horror. I watched one horror film when I was in 7th grade and had nightmares for years. I’m not a great person to ask, but my husband loves them. The cheesier-the better. Is it fair to say Tsunambee also offers it’s share of laughs? What’s that supposed to mean!? Joke. Absolutely!!! I’m a stand up comedian in real life so I can find my share of laughs in anything, but Tsunambee definitely offers a good time. 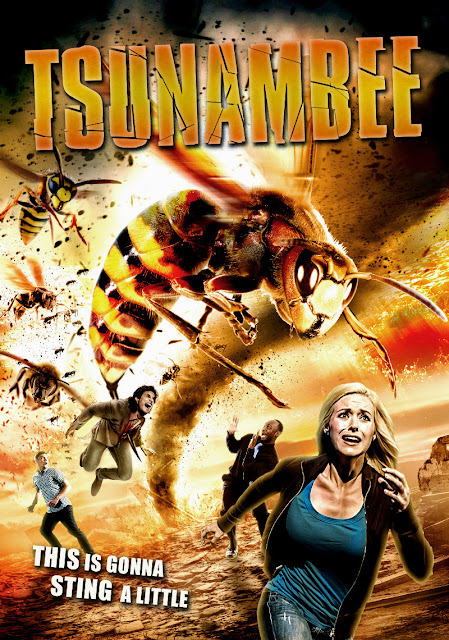 Why do you think movies like Sharknado and Tsunambee have been so popular in recent times? Is it the escapism factor? Is it the fact that they don’t take themselves too seriously? I think they’re fun and it is the fact of what you mentioned - about them not taking themselves too seriously. People want to enjoy themselves, forget about the difficult times they’re going through and just laugh and live a little. These films offer that by mixing fear and over the top fun together. It’s like an amusement park ride that’s fun with a scary bump or two. I assume it’s hard not to perform too over-the-top sometimes, considering the storyline? Is it a fine balance between seriousness and wink-wink? As a comedian, the more serious you are when performing, the funnier it can be. To the character it really is a life and death situation so playing it true goes miles further than going too far over the top. What can you tell us about director Milko Davis? He can create something out of nothing. He doesn’t need a shoe string budget-he could get it done with dental floss. Do you have a favorite moment in Tsunambee?